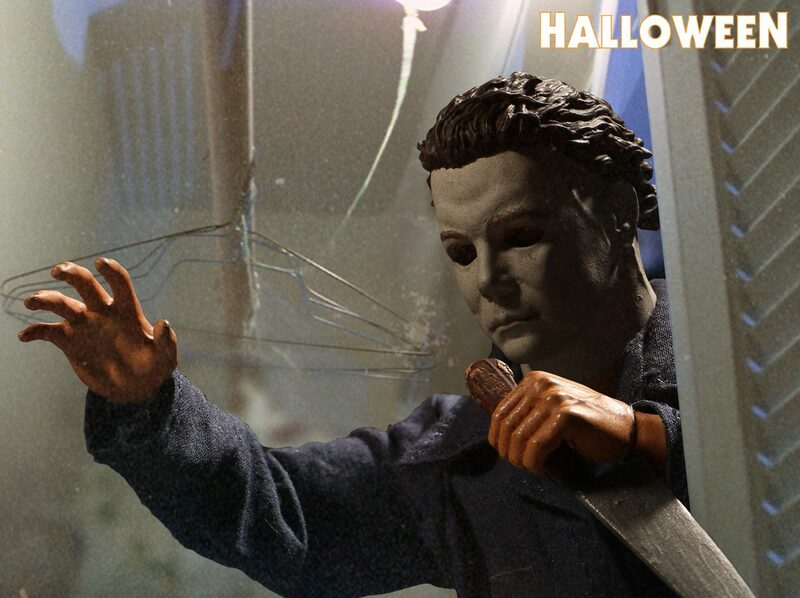 Mezco’s new Michael Myers figure will be released in 2018, just in time for the 40th anniversary of John Carpenter’s Halloween and the arrival of new Halloween film, and pre-orders will begin fittingly tomorrow, on Halloween. First revealed at San Diego Comic-Con, the new Michael Myers figure will join the One:12 Collective line of highly detailed figures. The new figure features a film accurate sculpt and coveralls as well as an alternate head with affixed ghost sheet and glasses to recreate the infamous “mistaken identity” scene in the film. The figure also comes equipped with both bloody and clean knives as well as a light-up Jack O’ Lantern. Mezco has released a new official photo and teaser, which you can see below. The figure is dated for summer 2018. You can pre-order it here!